I've been walking on the treadmill faithfully every day this past month. If you know me, you know I hate to exercise, so this is A Big Deal. One of the things I do to keep it from being so boring is to watch YouTube videos on the TV while I'm walking. It helps so much to pass the time. I sometimes watch makeup videos, and pick up different product tips. Here are a few recent good finds, and a couple of duds, inspired in part by watching several favorite YouTube channels. 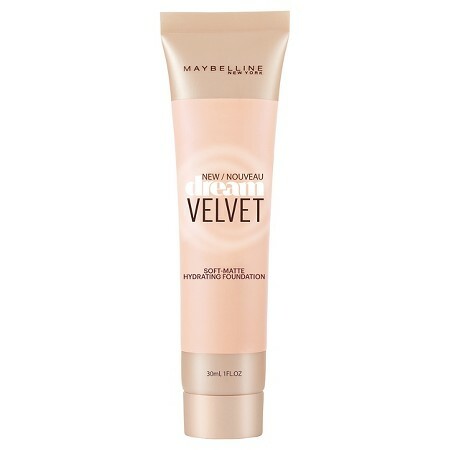 This Maybelline Dream Velvet foundation was described by one You-Tuber as being velvet-y soft, and perfect as a primer under foundation, or as foundation alone. At around $8.99 at the drugstore, it seemed worth a try. This goes on very nicely, and has a soft, velvet-y feel, but ended up looking blotchy. Not a smooth finish at all. I noticed especially around my nose very uneven coverage. 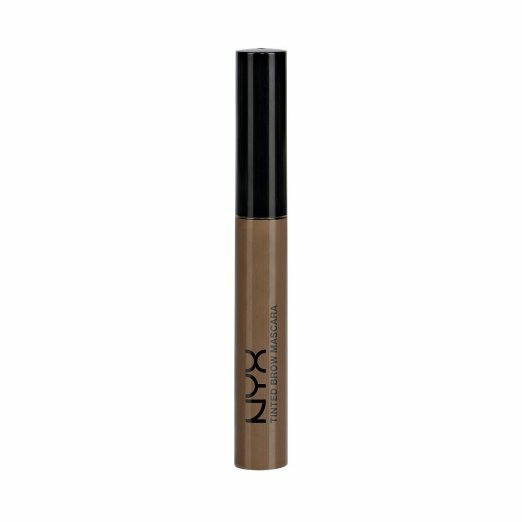 This NYX Tinted Brow Mascara seemed like the perfect product to fill in brows, cover a few stray grays, and keep the errant hairs in place. At around $6.99, another (potentially) good deal. This was just awful. There was way too much product on the brush, even after wiping a little off on a tissue. It ended up on the skin around my eyebrows, and it was sticky and obvious. It gets good reviews, but I thought it looked very unnatural, besides being messy. I'll stick with my Anastasia of Beverly Hills eyebrow powder. A little pricier at $23, but it has been in daily use for a year, and still shows no signs of running out. One drugstore find that I do love is this Rimmel Exaggerate lip liner. This is a softer pencil, with a slightly wider tip, so that you can line your lips, and then fill them in, as a base for lipstick or to wear as is. I love how easily it goes on. My favorite shade is East End Snob. I forget what I paid for it, but it's on Amazon for $8. My daughter went in for a hair and makeup trial for her wedding, and of course I went in and did a trial, too. I loved the foundation that the makeup artist used. It has no SPF in it, so it doesn't cause any of that white flashback you can get when your picture is taken. 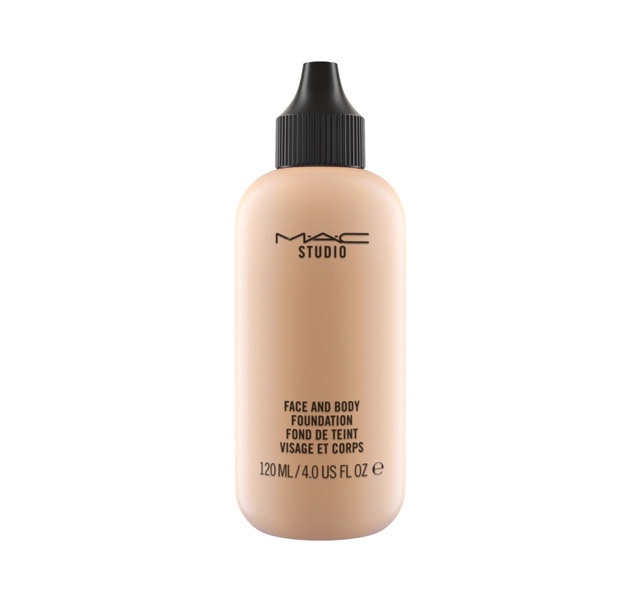 This is the MAC Studio Face and Body Foundation. I haven't tried it as body foundation, but I guess it could be used to cover spider veins, etc. This is $36. It goes on very nicely. It's not too heavy, but still provides good coverage. I got a free sample of this Marc Jacobs Highliner Gel Eye Crayon Eyeliner from Sephora. I got it in black, but it comes in all kinds of beautiful colors. It glides on so easily; I love it. I'm tempted to buy a full-size one after my sample runs out. I also discovered a great eyelid primer from Sephora. I have oily eyelids, and eyeliner and shadow always crease and smudge. I've tried other products, but this one really works. 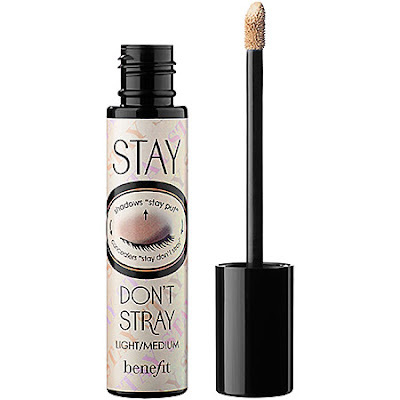 This is the Benefit Cosmetics Stay Don't Stray 360 Degree Stay Put Eyeshadow Primer. 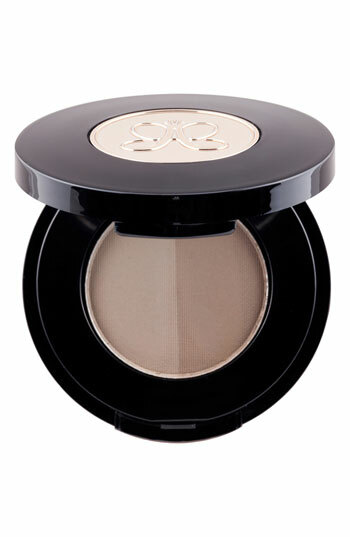 It can also be patted under the eyes to keep concealer in place. I don't use concealer, but I pat it all around anyway for a little brightening. Pricey at $26, but I can't wear eyeliner or shadow without it. So, there you go . . . do you have any new favorites, or duds? . . . and do you have any favorite YouTube channels? I'm thinking of watching some TED talks, but don't know where to start. There's gazillions of channels out there. Hi Deborah, oh I love all of your makeup recommendations! My daughter loves and uses the Anastasia makeup for eyebrows too and she uses the mac foundation. I will have to try that lip liner and primer for eyelids as I have the same problem as you! 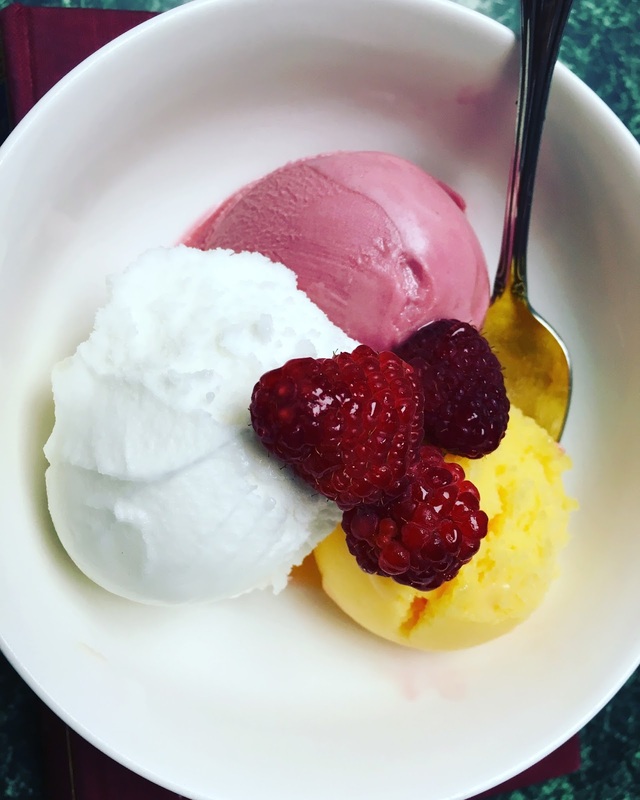 Thanks for the fun post and you too stay cool! Watching Youtube videos while exercising sounds like a great idea! (or Ted Talks). The lip liner looks great. Hope you are enjoying summer weather and activities! I always love reading makeup reviews, Deborah. I don't even wear eye shadow because of the same problem that you have, so thanks for the recommendation. I bought an E.L.F. eye liner at Target and it was only $2 something and I love it! It sounds like you've really set a goal with your exercise routine. Whatever makeup you have on in your photo, is gorgeous! You just look like you're radiating with beauty! Nice reviews, Deborah! 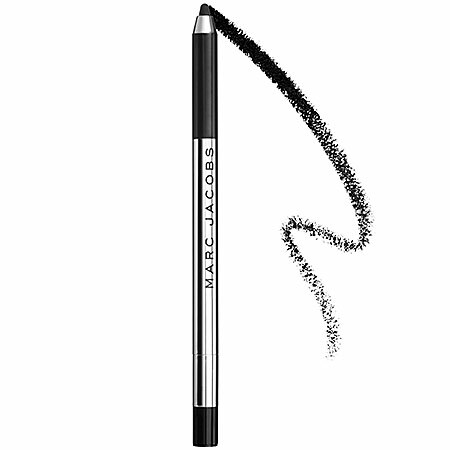 I love those Sephora deals in trying out products like the Marc Jacobs. I've grown to love Laura Mercier that way (tinted moisturizer with spf, tinted liquid lip wash, concealer), and my daughter loves the Kat Von D eyeliner. Both of us started with samples and moved on to the full size items. I love them too! I always get some ideas to try. I know I would like the lip liner...it's just what I need for the summer. I don't wear much make up but I do like to fill in my eyebrows with a powder and tiny brush by Bare Minerals. I dad on some concealer and then mineral make up and that's all I wear now. I usually put Vaseline lip therapy on my lips. It's cheap (in a tube, less than a dollar) and keeps your lips feeling so good. Hugs! Oops...I just checked my eyeliner and it's the Essence brand, not E.L.F!!! I guess the two brands are near each other at Target. Hi Deborah, Great post for makeup reviews!! I too enjoy You Tube while working out. It does help the time pass!! I use the Rimmel lip liner and love it along with their eye liner pencils too. They stay on well. I love Prestige brand from Britain for brow liner. It stays in place all day and the colors are soft and natural. I use the color Sable and it can show lighter or darker depending on your application. I can only find this brand at Ulta. CVS does have a great variety of products in their makeup department. I greatly appreciate your thoughts on the makeup you mentioned. I have the hardest time with makeup as my face tends to look blotchy with certain products. Lately I have just been using a tinted moisturizer with with mineral powder to finish it off. So far I have liked it during the hot days of summer. Good for you for faithfully walking on the treadmill. You are such an inspiration. For the last 8 weeks I have changed my eating habits and have been working out daily and I am very happy to say I have lost 8 pounds and really toned up. I think of you often and your weightloss journey as you truly inspired me. Wishing you a delightful evening. Much love! Good for you for sticking to your treadmill routine! I abhor exercising so I can totally relate. Recently, I've been trying some of the exercise videos on Fitness Blender. Enjoy the rest of the week, Deborah! Great to hear you're sticking to a treadmill routine every day Deborah. During good weather I walk our dog every day but when there's snow on the ground, my treadmill fills in and I watch a morning show. I like to do yoga too to keep myself limber. Great makeup review, I hardly wear anything these days since my skin has become so sensitive and I haven't been able to wear mascara for years. That is a lot of products for testing. Since I've had severe rash from eye makeup, I'm very careful with what I put on. Some of its ingredients might be rather toxic. I've never used eye brow powder, looks like being a great way. You at least look perfect wearing it. Do you use the taupe color? We still bike daily, if not raining and I love doing that. First of all, you look radiant in your new profile photo. Thanks for sharing these makeup tips. Georgia's heat/humidity are so bad that I rarely wear makeup in summer. Another reason to look forward to Autumn!